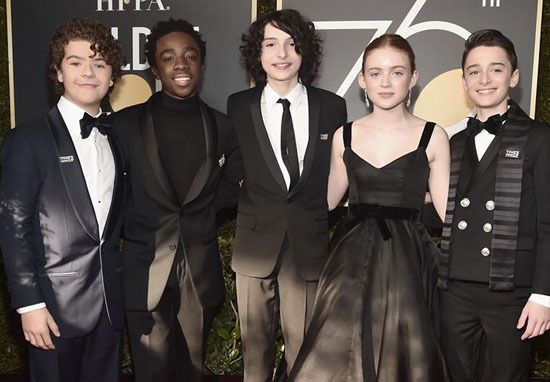 Despite not winning any awards last night at the Golden Globes, Stranger Things still holds a special place in everyone’s hearts. The incredible 80’s nostalgia, government conspiracy and amazing group of child actors, make this show an absolute winner in our books. One of the principal people who’s responsible for this is Millie Bobby Brown – Eleven in the show – who’s quite frankly an international treasure. Yet she was conspicuously absent from the red carpet walk with the rest of the Stranger Things cast last night and instead, opted for a solo walk in front of the cameras. The rest of the cast mates, including Gaten Matarazzo, Caleb McLaughlin and Finn Wolfhard, walked the carpet as a team, without Millie. It wasn’t long before fans picked up on the significance of her solo outing, with many deciding to question why the cast weren’t together. @milliebobbybrown with the slightest flick and freshest skin ?? hair @blakeerik styled by @tcarterphillips makeup by me using @kiehls and @avoninsider ? While an official reason for her absence hasn’t been given, clues can be derived from the Instagram story of Brown’s make-up artist Kelsey Deenihan. The story reportedly showed Brown was still in make-up prep about 20 minutes before her co-stars appeared on the carpet and so she didn’t make it down on time, according to Refinery 29. Millie did eventually make it down onto the carpet about an hour after her co-stars had completed their run and she did eventually manage to reunite with her cast mates at an after-party. Fans weren’t happy with her absence, with many taking to social media to voice their dissatisfaction at the seeming disconnection between the group. Still, at least we know it was out of their hands and they’re still best friends and fight the monsters of the Upside Down together and all that. 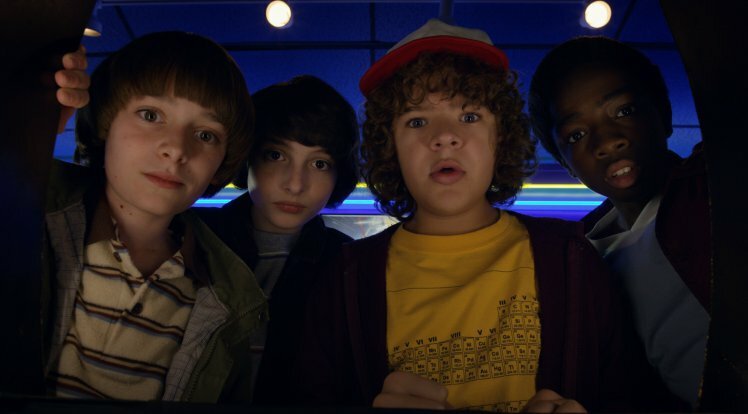 Unfortunately, we won’t be seeing the gang reuniting on our TV screens in the hit Netflix show until 2019, according to star David Harbour. Now we just sit and wait patiently. Where Is Millie Bobbie Brown On The Golden Globes Red Carpet?